McDonald’s have earned a real good reputation through passing years in Mauritius. 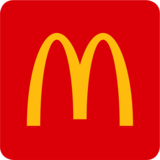 Today McDonald’s can count in total 7 of its Restaurant around the island to serve the customers better. Having as primary aim to serve good food at an affordable price in a fun and friendly environment, McDonald’s Mauritius wants its customers to cherish good memories with friend’s family colleagues whenever they eat it any of its restaurant.